This week, Drayton Hall’s Curator of Historic Architectural Resources Trish Smith posted an article on the Preservation Leadership Forum’s blog. 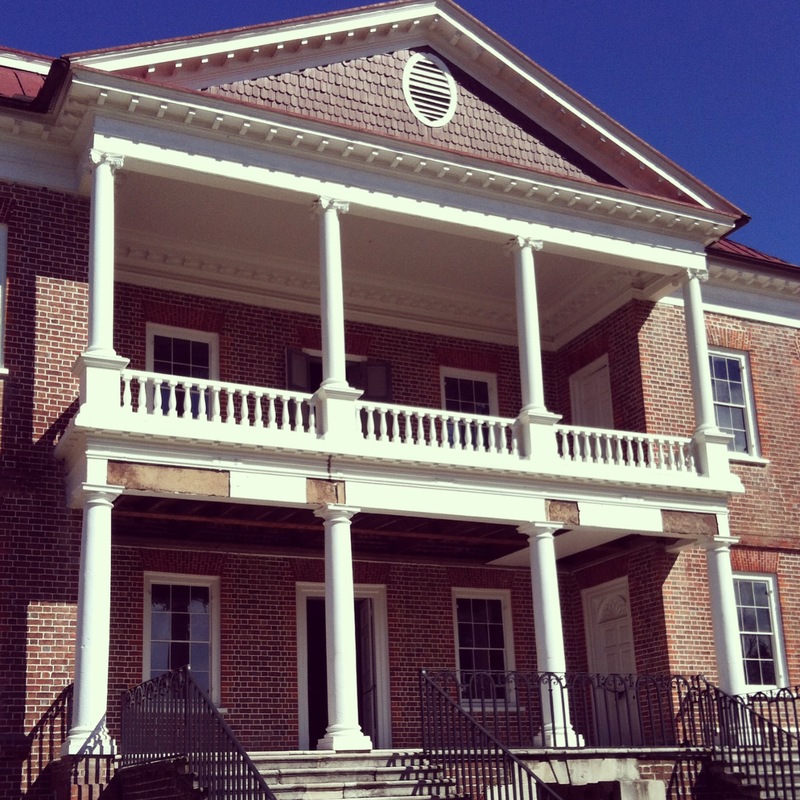 Her article highlights the preservation work being done on Drayton Hall’s iconic portico. Below is an excerpt from her article. Drayton Hall, a National Trust Historic site in Charleston, S.C., is widely considered the earliest and finest example of Palladian architecture in the United States. Chief among Drayton Hall’s character-defining features is its two-story, iconic portico which projects from, and recedes into, the house. A recent structural assessment of the portico has brought to light important information about the construction and subsequent alterations to this well-known feature. Since 1974, several interventions have been made to stabilize and conserve the portico, which documentary evidence tells us has been plagued with structural issues almost since its initial construction more than 250 years ago. On May 2, 1815, Charles Drayton (1742-1820) wrote in his journal that one of the portico columns was “in jeopardy,” and was to be taken down. Four days later, he wrote, “Schnirle came [with] 26 fellows and took the pillar down safe and cleverly.” A stack of limestone columns in the cellar of Drayton Hall may be what remains of the original stone pillars discussed in Drayton’s diary. Architectural historians have long speculated about other alterations made to the portico….Click here to read the full article.